“Millions saw the apple fall, but Newton was the one who asked why,” declared Baruch Bernard. The second left hander that changed the world, in chronological terms, was Sir Isaac Newton. He would later become known as the father of modern science. The story about the apple is intriguing. It would have been really cool if it was a fig tree instead—fig newton anyone? Regardless, a right-handed person would probably have observed the fallen apple, picked it up, looked for a worm hole, and ate it. Newton, being a lateral thinker, decided to ponder about why it fell to the ground. Several brainstorming sessions later, he had developed his law of gravitation. As evidenced by the apple incident, Newton’s curiosity, more than anything else, is what propelled him to greatness. A further example of curiosity fueling his greatness is seen in what happened after Newton read books on astronomy. He then immersed himself in books on mathematical theory. Although it has been argued by some that Newton did not invent calculus, Newton nevertheless made major contributions to science and mathematics, including at least some additions to calculus. The world may never know the full extent of his gifts because Newton was famous for being a reluctant publisher. He was very secretive about his work. Newton’s methods of experimentation were exacting. His note taking and explanations made his experiments easily repeatable. One of his passions was alchemy, trying to turn metals into gold. He spent many years of experimentation, all to no avail as far as producing any gold. However, the methodology and procedures he developed during those scientific trials did a great deal to advance the worlds of science and chemistry. Newton is well known for his namesake three laws of motion. These laws have led to many modern theories and hypothesis. His theories on light, color, and optics were groundbreaking for the time. Newton’s conclusions on light and the movement of planets helped turn dreams of flight to the moon into reality. Newton also invented the reflecting telescope. Newton had a lot to overcome in his lifetime. Much like Albert Einstein, he had a slow start. He was not a good student in his early days. He was left handed and he stuttered, and therefore, he was bullied. 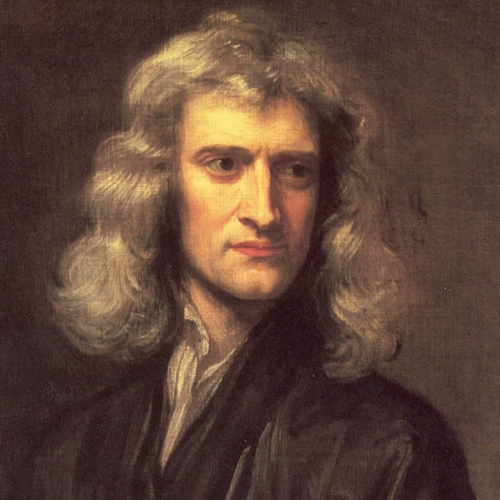 In spite of this, Newton became a professor of mathematics at Cambridge University at the age of twenty-six. Isaac Newton’s theories and discoveries make him one of the most amazing people this world has ever seen. To some, the fact that he was left handed may seem irrelevant. I would beg to differ. Since the beginning of time, Southpaws have been treated as second-class citizens. Dismissed as disabled, clumsy, and handicapped, it is indeed awesome to recognize a true left-handed genius. Many people have been discouraged from using their left hand. Differences are what make us all unique. What a boring world it would be if we were all exactly the same! Hats off to Sir Isaac Newton: another left hander who undoubtedly changed the world.